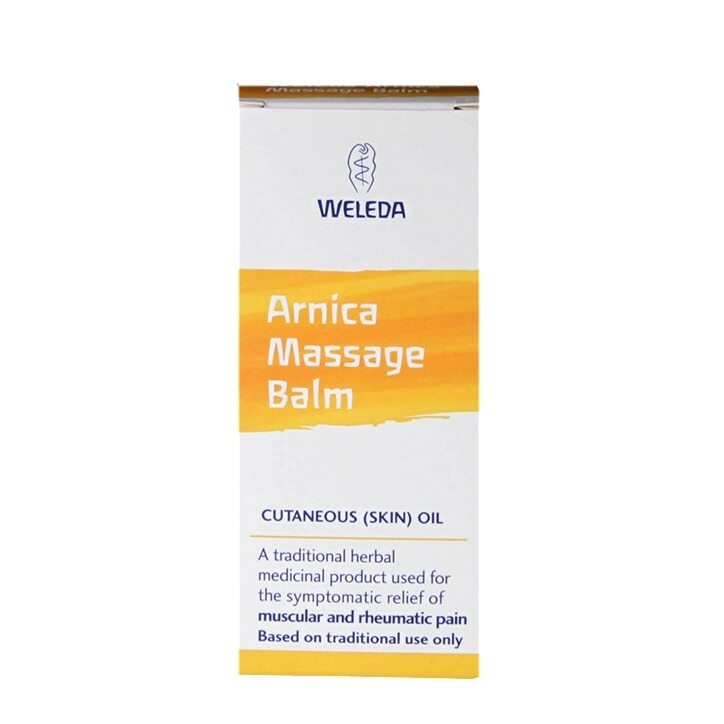 Weleda Massage Balm with Arnica is rated 4.6 out of 5 by 15. Rated 5 out of 5 by diajrd from arnica oil I brought this a week ago as i had a swollen knee , it's taken the swelling down and got me back on my feet happy days . Rated 5 out of 5 by Mvdv from Great service Delighted with my oil, not a miracle but relaxes my muscles. Great after long workout or deep massage. Rated 5 out of 5 by Thedogwalker from So far so good! I've only used this a few times so far but I do feel it is helping. I have extreme pain and although I cannot say that it completely removes it (the hospital doesn't even manage that!) it does seem to relieve the worst of the pain. I would advise to wear something that doesn't matter too much where you have used it - I don't think I put on too much (perhaps I do!) but it does leave something of an oily feel for a while. Rated 5 out of 5 by triage from Good value An excellent product which is good value for money and relives aches and pains. Both my husband and I use it .